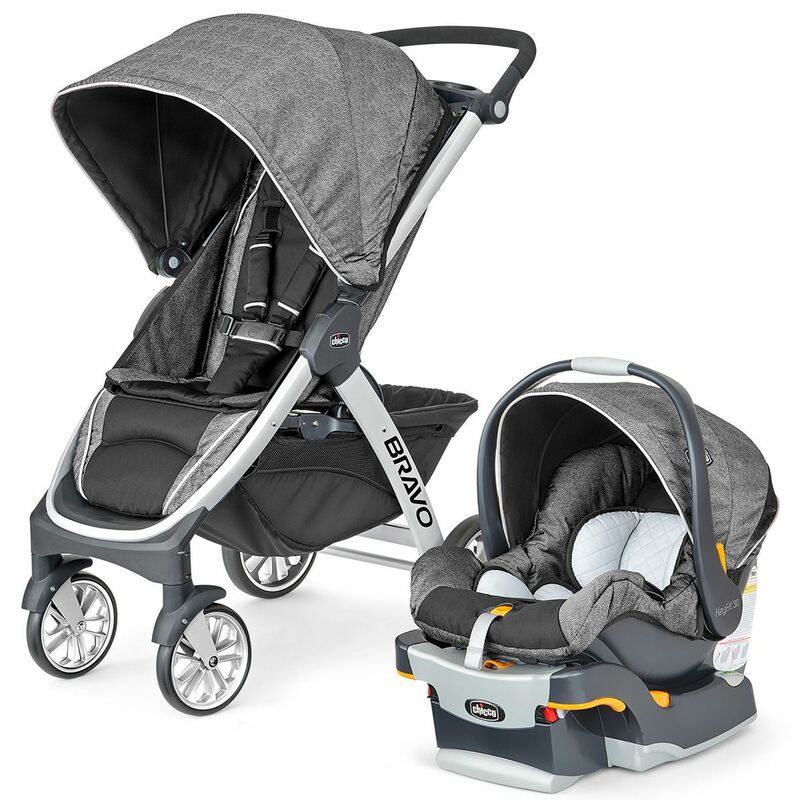 The Bravo can be used as a car seat carrier, travel system or toddler stroller. The push handle can be adjusted to just the right position for your comfort. The extra-large basket is easily accessible from the front or rear of the stroller. Simply lift up using the handle under the seat, and the front wheels automatically swivel into position for a compact, free-standing fold. Infant car seat base included. A revolutionary 3-in-1 Travel Solution, Bravo adapts to your changing needs as baby grows. 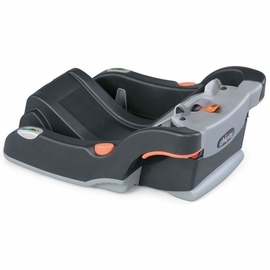 KeyFit Carrier: In its first mode of use, Bravo functions as a lightweight car seat carrier for those early months. It?s easy to remove the stroller seat and canopy, attach the adapter, and click in the KeyFit. Travel System: During the transition time when baby rides in the KeyFit but also likes to sit up in the Bravo, the KeyFit easily clicks in and out of the stroller seat, using the arm bar adapter. Toddler Stroller: When baby outgrows the KeyFit, Bravo functions as a full-featured stroller for everyday travel up to 50 lbs. 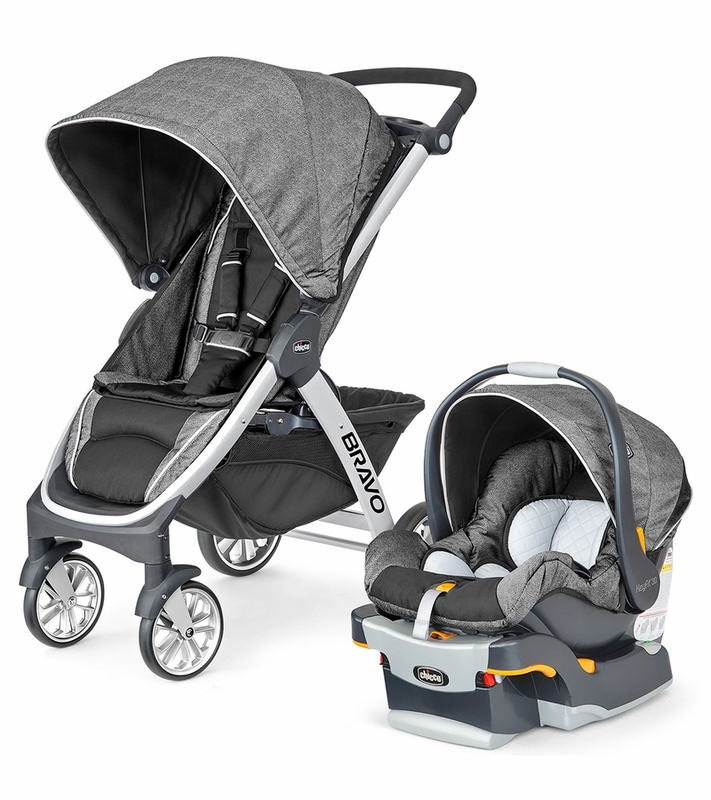 The Bravo Stroller also features the smartest quick fold in its class! Simply lift up using the handle under the seat, and the front wheels automatically swivel into position for a compact, free-standing fold. Proper installation is the KEY to making baby's world safer. 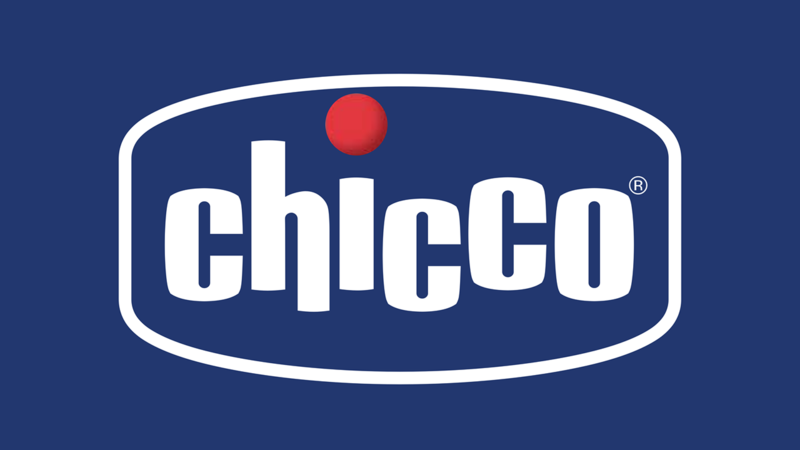 #1-Rated Chicco KeyFit 30 is the easiest car seat to install simply, accurately and securely. Every time. 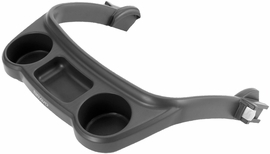 For accurate installation, ReclineSure Leveling Foot adjusts to the angle of your vehicle seat. RideRight Bubble-level Indicators on either side of the seat show when a proper base angle has been achieved. Then to secure the base, SuperCinch One-pull LATCH Tightener employs force-multiplying technology to create a tight, secure fit with a fraction of the effort! Lined with EPS energy-absorbing foam for improved impact protection, the KeyFit 30 is equipped with a five-point harness that quickly and easily adjusts with a one-pull harness adjustment. For smaller babies (4-11 lbs), an ergonomic infant insert provides extra support and helps make baby snug and secure on those first trips. The stroller/infant seat is well built and seems pretty sturdy! It is smooth rolling and taking the infant seat in and out seem easy. Baby not due for another few months so have not tried it out officially! Awesome place to get exactly what you want at a discounted price!! Saw this product listed for a great price after months of looking. Found the exact item we were looking for and received it very quickly considering we live all the way in Hawaii. Opened the box which was a little damaged, put everything together in less than 5 minutes without looking at the instructions. Tried it out and everything worked great!! For a first time parent, buying from any online store is nerve racking, but this site definitely did a great job in making me feel comfortable about our purchase and again a great price!! My sister recommended this. Found it for a great price!